Each roll is 4" wide x 55 yards long to allow sealing of the entire plate with one strip of tape. 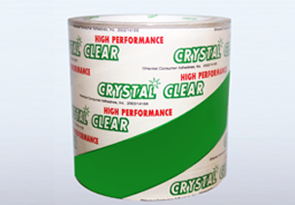 Additional rolls of this crystal clear tape can be purchased separately in addition to the tape that is supplied free of charge with your Growth Chambers orders. Each roll is 4” wide x 55 yards long to allow sealing of the entire plate with one strip of tape.